Hannah Rowan (b.1990) lives and works in London, UK. is an artist who makes sculptural works that meditate on the relationship between the slow geological time of natural processes and the fast paced, technology-driven frenetic activity of humans. She utilises both synthetic and organic materials in her ephemeral, multifaceted constructions. She recently completed her Masters in Sculpture at the Royal College of Art, London. She has attended residencies at The Scottish Sculpture Workshop (2019), The Banff Centre, Canada (2015, 2018), The Vermont Studio Centre (2016), VT and The Wassaic Project, NY (2016). She is the recipient of Arts Council England Grants for the Arts funding and the Gilbert Bayes Scholarship in Sculpture. Her work has been featured in print publication Perpetual Inventory Vol III, Offline Press, 2018. Undercurrents, Artesian Well, London, UK. Oikos Logos, Enclave Lab, curated by William Noel Clarke, London, UK. RUST: Art Licks Weekend Peripheries 2018, curated by Muddy Yard, The Icing Room, London, UK. Every Thing, Assembly Point, London, UK. Wild Within, Curated by La Wayaka Current, Guest Projects, London, UK. SHOW RCA, Royal College of Art, London, UK. Plane of Imminence, Safehouse Gallery, London, UK. Too Much Information, Seventeen Gallery, London, UK. Perpetual Inventory Vol.3, Filet, London, UK. Situation 3, Here at 26b, London, UK. Critical Cartographies, Filet, London, UK. The Roger Ailes Memorial Show: Fair and Balanced, Yours Mine and Ours Gallery, NYC, USA. Creekside Open, A.P.T Gallery, Curated by Jordan Baseman, London, UK. 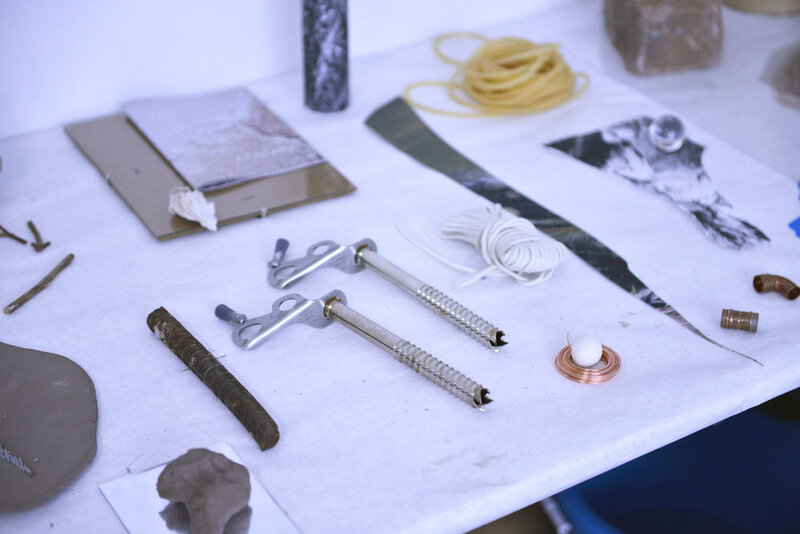 R E S I D E N C I E S, A W A R D S.
Scottish Sculpture Workshop, Winter Emerging Artist Award, Lumsden, Scotland. 2018 Perpetual Inventory Vol.3 (Book), Featured Artists, Published by Offline Press, London, UK. 2017 A Conversation With Art: Hannah Rowan in Conversation with Dexter Dymoke, APT Gallery, London, UK.